Our Hugely popular supper quiz had a record attendance and raised a substantial sum for the Fellowship. Professor David D’Cruz spoke eloquently about the research that the charity will support to establish how prevalent Hughes Syndrome is in the wider patient population of Britain. We would like to bring your attention to the first ever short debate held in the House of Lords on antiphospholipid (Hughes) syndrome. 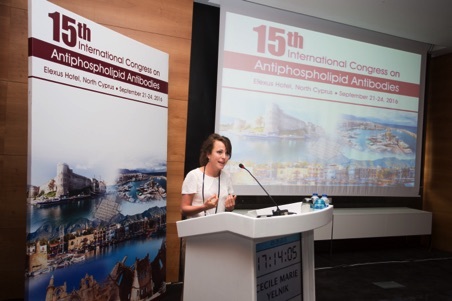 The question posed by Baroness Drake was: “what actions are Her Majesty’s Government taking to raise awareness of the autoimmune condition antiphospholipid syndrome (APS) amongst general practitioners and throughout the National Health Service”. She was supported by Baroness Estelle Morris, with Lord Hunt arguing for and Earl Howe against. The debate was held on Monday 9th March 2015 at 8.02 pm so, if you are watching the video, please drag the timer slide to 8.02.27 to find the beginning. 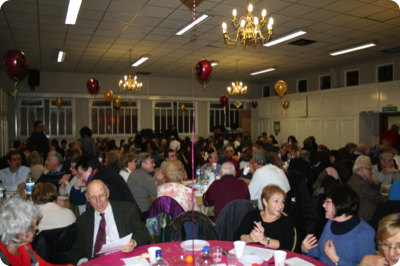 The supper quiz this year raised an exceptional £9,000 this year, thanks to sponsorship and the generosity of those who came along. 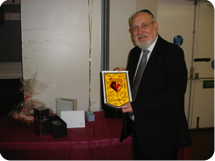 County Councillor Rabbi Alan Plancey, Emeritus Rabbi, Borehamwood & elstree Synagogue. 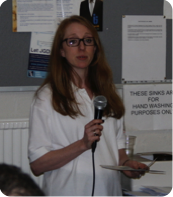 Claire Saffer, Louise’s sister launches an emotional appeal at the raffle. Whilst Phoebe Grankin, a young girl who owes her life to the treatment of Hughes Syndrome helped introduce the raffle. 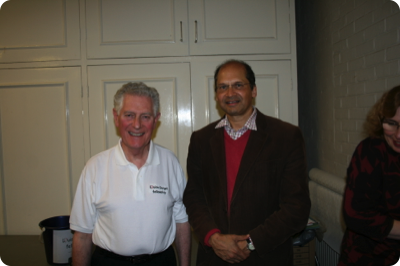 This year's supper quiz was a great success. It raised £7,300 for the Louise Gergel Fellowship and was enjoyed by all (especially the website editor who's table won for the first time!). Donations from people who didn't attend, more than more than covered all the costs of the evening. THANK YOU ALL. The raffle was extremely successful thanks to some generous prizes, including England football tickets from the Football Association, Saracens Rugby tickets from Allianz Global Investors and a signed pennant from Watford football club. 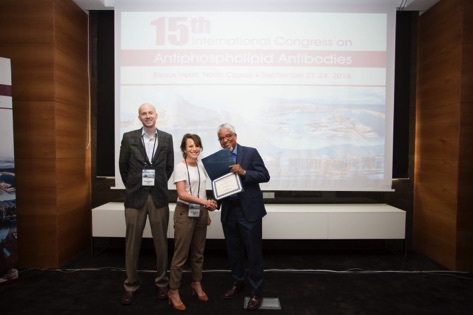 The Louise Gergel Fellowship prize ($1500) was awarded to Cecile Marie Yelnik at the recent international conference on antiphospholipid syndrome. Cecile is a young postgraduate researcher and her prize was for an outstanding research paper. After much urging by the Hughes Syndrome Foundation, testing for Hughes Syndrome is now included in the new Stroke Guidelines issued by NICE (National Institute for Health and Care Excellence), which will mean much greater awareness of Hughes Syndrome (Antiphospholipid Syndrome) by the medical fraternity generally. “Before I even knew I was pregnant I developed a butterfly rash across my chest. My GP dismissed it as an ‘allergic rash’. No blood test, nothing. When I miscarried 9 weeks later at 12 weeks, my GP cheerily said, ‘Keep trying. Miscarriage is common at your age.’ I was 37. No blood test. Feeling disheartened and dismissed I went onto a further two early miscarriages without even daring to call the GP and waste his time. At my fourth miscarriage, I started googling. I approached my GP again—could all this be due to my existing thyroid condition? ‘Extremely unlikely’ was the response. Again, no blood test, but a recommendation to quit my stressful job. I obliged. It was only at a routine annual hospital check-up with my thyroid doctor after my fourth miscarriage four years later that I heard, ‘This sounds like Hughes syndrome, let’s do a blood test.’ St Thomas’s hospital confirmed the diagnosis, but sadly not soon enough to save the baby I was carrying—my fifth. Happily, after proper treatment I became pregnant again, finally giving birth to a healthy boy on the eve of my 42nd birthday. After five miscarriages and five years of my life lost to hope and grief and hope again due to my GP’s ignorance, I still feel cheated and, shame on me, a little bitter. I urge you please, give miscarriage the research, resources and respect it deserves.”. Louise's sister, Anna Petrook made the introduction to the evening. And Dr John Wolffe - Louise's father dscribed an e-learning module for GPs that is being designed to help them spot and diagnose Hughes-Syndrome. The Louise Gergel Fellowship hopes to help to fund the £20,000 cost of this vital initiative. "I am particularly interested in pursuing a new biological target in the treatment of APS. This new target is in a process called autophagy, which allow cells to degrade unwanted material or to recycle nutrients. I believe that a malfunction in autophagy leads the immune system to attack the body itself, causing symptoms of disease. I have already obtained promising results indicating that APS-derived antibodies act to reduce autophagy. I now need to understand where exactly in the process these antibodies are acting and to use a number of drugs, including those commercially available, to determine which would be best for reversing the effects of APS antibodies on autophagy and treating the disease." 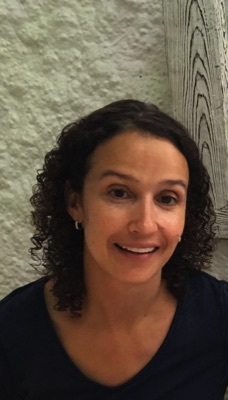 Congratulations to Dr Vera Ripoll, Senior Research Associate in Centre for Rheumatology, who was recently awarded a Fellowship from the Louise Gergel foundation for her research into Antiphospholipid Syndrome. Dr Ripoli hopes to pursue novel autophagy targets in the treatment of APS. Dr Ripoli's work was previously supported by the Division's Athena SWAN Maternity/Paternity Award, which is disbursed to help new parents during or after child-associated leave. Thanks to the efforts of our fundraising committee, the Louise Gergel Fellowship, and matching funding from LUPUS UK the charity has been able to support a year-long APS research project at University College London (UCL) carried out by Dr Vera Ripoll-Nunez."